As a leader, you’ve probably been given the mandate to build a culture of innovation with your team. So you go back, have a great pep talk, tell your team to be more innovative and even give them a process. But very quickly you realize that efforts are fizzling out or even failing. That’s probably because you are making the one big mistake leaders make that is killing innovation — you expect your entire team made of diverse people to innovate in the same way. If you want to encourage innovation, you’ve got to empower your team to innovate in the way that works for them. 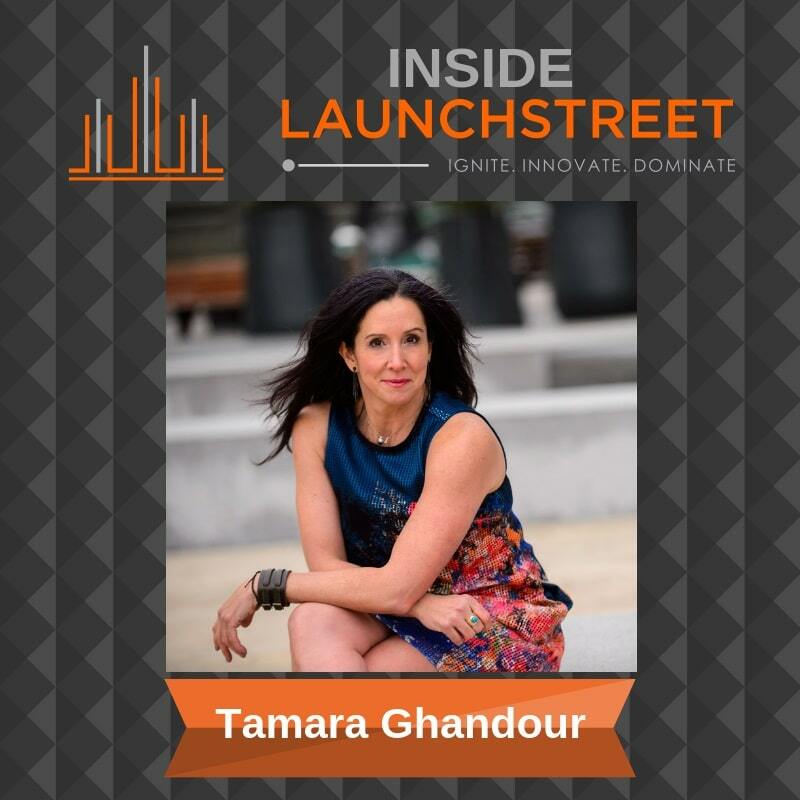 On Inside LaunchStreet I dig into how to encourage innovation by empowering your team to tap into their natural talents and strengths, to find the room to innovate. [:38] In today’s episode, Tamara will be diving into the big mistake leaders make. She was recently on a plane and had a discussion with an auto executive. He mentioned that innovation inside the four walls of his company was struggling. Tamara introduced him to the Innovator Quotient Edge Assessment and explained that it will pinpoint how his employees innovate naturally. [3:45] Why does the big mistake happen? Leaders are given the mandate to build an innovative team. So, leaders take the mandate to their team. Often, the efforts fizzle out or fail. Is the failure the fault of the team or is it you? She suggests its the leader’s fault. You expect everyone to innovate in the same way. Tamara believes we are failing to live up to our innovation goals because we aren’t tapping into the natural abilities of ourselves and those around us. [6:54] Your team needs the knowledge of how they innovate, permission, and the ability to flex their innovation muscles. Today’s podcast will tackle the knowledge of how to innovate. You first need to invest in the processes and instruction. If you invest in the people first, the right processes and tools will come out of it. [9:00] Listen in as Tamara discusses how to empower your people. How do you give them the knowledge? When people understand their innovator archetype — how they innovate best — they are powerful. [10:23] Is there only one way to innovate? Tamara shares her personal experience about being an advertising account coordinator. She worked for an amazing team that gave her the responsibility of organizing the big creative strategy meeting. Find out what happened when the creative genius failed to show up for the meeting. [15:04] The team learned some important lessons that day. They learned that everybody is innovative. And, they learned that everyone innovates differently. [15:56] If you want to be a rockstar innovation leader, have your team take the IQE Assessment and give them access to Innovation on Demand training programs. This will help them flex their innovator’s muscles. Tamara has identified nine triggers or ways people innovate. They are: collaborative, tweaker, experiential, fluid, futuristic, imaginative, risk taker, instinctual, and inquisitive. The way your team innovates is unique. Tamara talks about Marc. He innovator archetype is fluid inquisitive. He innovates in the questions, not the answers. He likes to dig for things. He is really good at taking a mess and stickiness and finding the innovation in ambiguity. Marc’s innovation was hindered because he had too many guardrails. His team removed the guardrails and Marc’s innovation took off! [18:11] Tamara shares that Kylie is an inquisitive collaborative. Her strength is that she challenges assumptions. Kylie had quit asking questions. When the team identified her strengths, they encouraged her to ask those questions! [19:05] Shelly is a client from Wendy’s. Her team lacked trust. After taking the assessment, they began to understand each other. This helped to build trust and value each other’s strengths. The team was able to recognize that it’s OK to innovate differently. [20:02] Tamara challenges listeners to empower their teams by allowing them to innovate in their own way. How can you think differently about how your team innovates? [20:44] Tamara shares a quote from a corporate executive with Arrow Electronics. “With the IQE Assessment and Tamara’s presentation, I have learned more about myself in the first two hours than I have in most day-long presentations. Her experience has opened my eyes and allowed me to truly understand and leverage my innovator archetype. Using the knowledge I have gained, I am sure I will be able to grow and add value to my career. GotoLaunchStreet.com and click on training, then go to team training. It all starts with the knowledge of how they best innovate. How about we allow the team to innovate in a way that they do best?